Now that Tatum's past his first year I figured for the second year I'd just do these posts every three months really just for my own memory! Tatum was late with getting teeth but in addition to his bottom two his top four center teeth came in just about all at once between 12-13 months. At 14-15 months his molars started coming in. Tatum's wearing 12 month and 12-18 month clothing as well as size four diapers. We're still doing two naps and depending what we have going on that day depends on which is longer. His morning nap is usually his more set at the same time each day and longer. We tried doing one nap recently and while he did do a nice long nap he was cranky before and exhausted by dinner time (12 months). At 13 months we started fighting the battle of one nap vs two. Tatum wasn't always into two naps but not quite ready for one - it's been a progress to figure out our new schedule - occasionally he'll take one 3 hour or so long nap, some days it's two shorter naps and some days one average length nap (13 months). When he was sick he got back into the habit of doing two naps... We'll see what next month brings! Has learned to throw food from his tray and knows exactly what he's doing - he get's a little smirk as he drops a piece. We've noticed at this age one day he'll love a food and one day not be into it - just hit or miss (12 months). Perogies, Apple Cinnamon Donuts, Lasagna, Hamburger, Quesadilla and Mexican Rice, Hard Boiled Eggs, Goldfish, Chicken, Etc. With the time change we usually do his bedtime routine earlier so he has his bottle right around 7 and falls asleep right after - some nights if we're out or have other things going on he does a little later and handles it well. He's usually up a bit earlier now too anywhere from 6:30-7:30 in the morning (starting at 12 months). Really enjoys his bigger playsets that he got for his birthday from us/friends. A little tikes food car and a little tikes garden play center (12 months). Walking - everywhere! He loves to grab toys to pickup and carry with him - big or small. Waving to people. We've been to a few events where he's gotten balloon animals and he loves them. Playing in the pantry and mudroom. Also climbing on anything he possibly can! The vacuum cleaner and dust buster. Has fun playing with his little people sets. During the Christmas season he loved playing with one of Stella's Rudolph toys and the two would have so much fun stealing it from each other. Ballon animals - we've been at a few events lately and he loves getting them and then playing with them (13 months). He had a big fall at his party party (12 months) and got a big bump and cut on his head but luckily the swelling went down quickly, a few nurses were at the party and said we were fine. If he's walking/playing and doesn't want to be picked up - he'll let you know! Doesn't always like wearing bibs. Getting medicine and being sick. He had a really bad cold and then the next week threw up twice and couldn't keep food down for the day (14 months). He's started the stage of temper tantrums - if you take something he wanted, if he doesn't like something, etc (14 months). Celebrated his second Thanksgiving and got his first taste of Thanksgiving food... and dessert (13 months). Learned how to clap and is so proud of himself when he does it! Claps when he does something right or fun, when something excites him, etc (13/14 months). 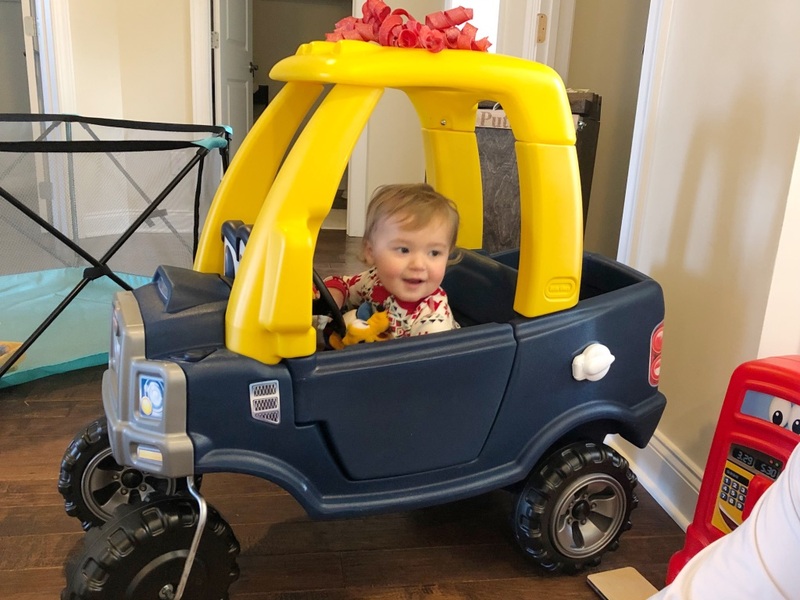 Celebrated his second Christmas - He loved opening presents and the wrapping paper, playing with everything and getting his first tastes of our traditional Christmas meal(s). Had his first real sickness - a bad cold, throwing up, fever, etc. He didn't have a big appetite and would only keep a few liquids down. Spent an entire night not sleeping. Started getting his molars in... the same time he was sick (14 months). 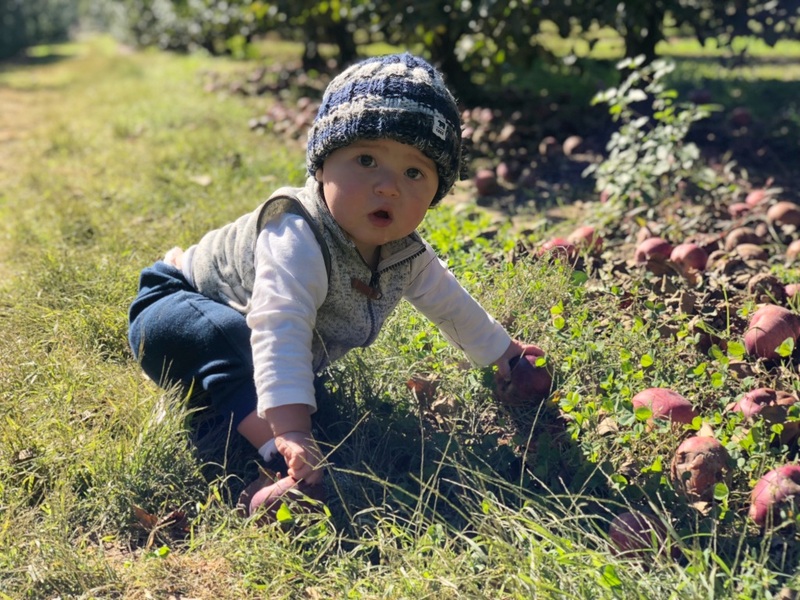 We visited Linvilla Farm to go to Pumpkinland, apple picking, seeing the animals and playing on the playground the week before Halloween and he loved it all (12 months). His first trip to Dallas and a visit to AT&T Stadium. (12 months). 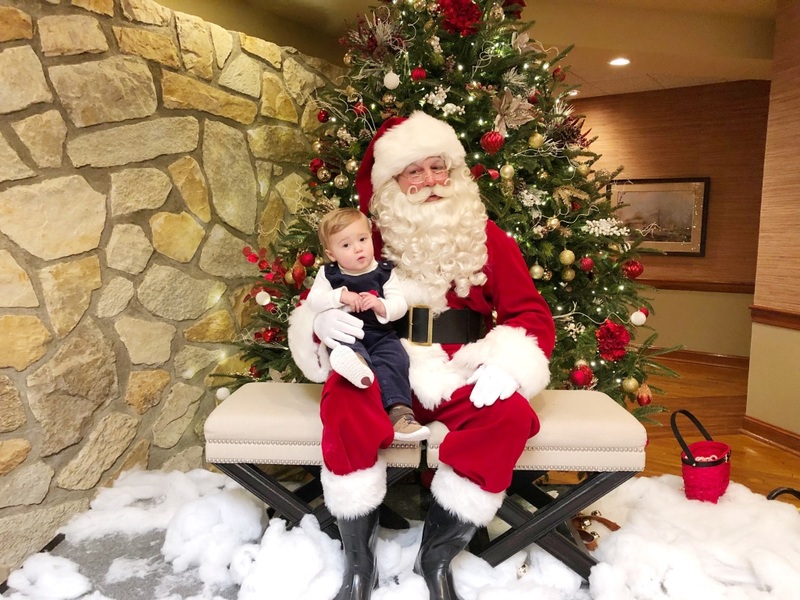 He went to get his second Christmas tree, meet Santa, see Jack Frost at a local theater, a Santa parade, Brunch with Santa, and many more Christmas activities (13 months). Tatum's first time to New York City (14 months). He went to the mountains for a weekend with a few of his friends - his first time playing in the snow (14 months). Little people, fisher price food truck, lil crunches, basketball hoop (12 months). Step2 Christmas tree, little tikes rocking horse, paw patrol car, lil crunchies, throw away placemats (13/14 months). oh he's just so cute. and ugh to the sickness and molars at the same time. love how you're grouping together by a few months - so much can happen! He is going to love going back and reading these one day. I so wish I had blogged when our babies were small! I have loved watching him grow! He's just precious!